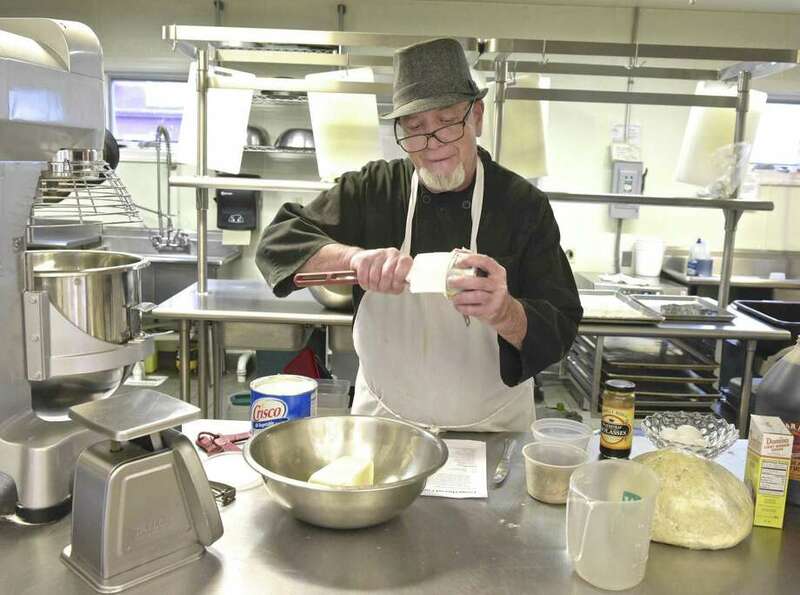 Chef Blythe Roberts, an instructor with the Community Culinary School of Northwestern CT, prepares cookie dough for assorted cookies the school will be selling for the holiday. Wednesday, December 5, 2018, New Milford, Conn. The Community Culinary School of Northwestern CT is selling assortments of cookies and hors d’oeuvres for the holidays. One-pound cookie trays cost $12 and the 24-piece hors d’oeuvres assortments are $30 each. All proceeds from this sale benefit the school directly. Cookies can be picked up from 9 a.m. to 3 p.m. between Dec. 17 and 21 at the school, at St. John’s Episcopal Church on the New Milford green, where the school is housed. The hors d'oeuvres can also be picked up then, as well as from 9 a.m. to 3 p.m. on Dec. 28. Trays may be purchased at www.communityculinaryschool.org. There is no end date for the orders. The Community Culinary School of Northwestern CT provides job and life skills training to unemployed and underemployed adults. The meals the students prepare are distributed through the New Milford Food Bank.